Manchester United will target their former player and Crystal Palace star Wilfired Zaha in the summer should they fail in their pursuit of Jadon Sancho, according to reports. Zaha, who was Sir Alex Ferguson’s last signing at Old Trafford, spent two years with the Red Devils from 2013-2015 but struggled to break into the first-team, making just two Premier League appearances. After impressing in his second loan season with the Eagles, Zaha moved permanently in 2015 and has contributed 29 goals in 141 appearances at Selhurst Park since the move. Manchester United’s prime target this summer is Borussia Dortmund forward Sancho and reports claim they are ready to pay over £100million for the teenager. Ole Gunnar Solskjaer has made the 18-year-old his top target as he looks to build his squad next season. 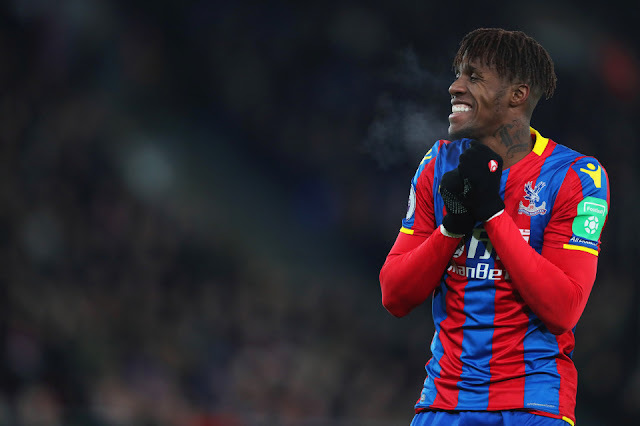 Zaha would reportedly be allowed to leave ahead of the 2019/20 season if the right offer is made. However, the report adds that the Ivory Coast international has had reservations about a potentia return due to his dismal stint with the club. Although the 26-year-old signed a new long-term deal last August, he would be available at a much lower price than Sancho and his experience in the English top-flight will be an attractive asset for the Red Devils hierarchy.